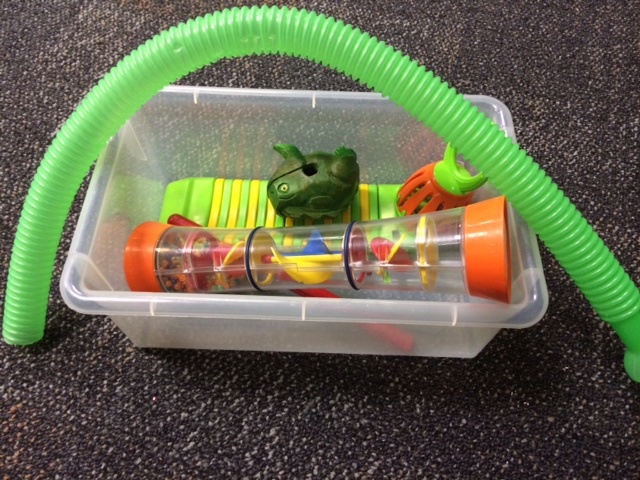 Oh, the places you’ll go…when you let Dr. Seuss inspire your music therapy activity planning! In honor of his birthday (March 2) and Read Across America day, my music therapy groups are having a jolly good time this week creating silly Seuss sounds to work on goals like positive peer interaction, decision making, following directions and self expression/creativity. Download the Dr. Seuss Band App for $.99. 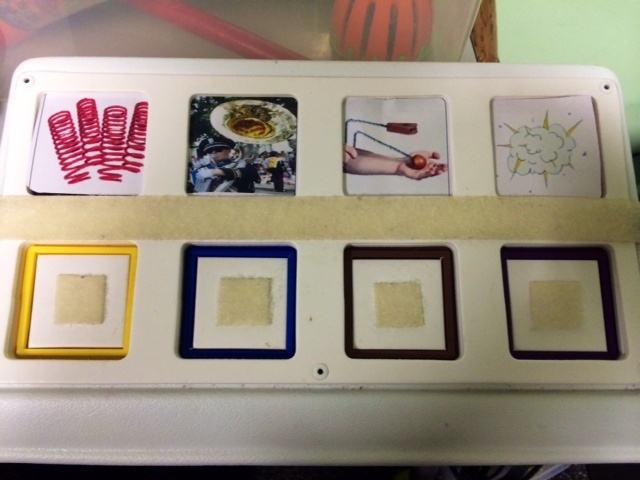 If your clients are able to play, the game is a great way to practice color matching and fine motor skills! But something I love about this app is that you don’t HAVE to play the game as intended…simply select a song (each one is so delightfully goofy sounding) and have clients press the buttons to play the instrument. For the suggestions below, I usually open the app, select a song and have clients layer silly sounds over the music. Record silly sound effects on communication devices. Find some sound effects that strike your fancy (thank you, youtube!) and record them on a choice board on your iPad or on communication devices like big macs. I had access to a Cheap Talk 8 at school, but individual buttons would also work great. Don’t miss this FREE DOWNLOAD(!!!!!! ): a visual I made for use with those sound effects. Just cut out and attach to communication devices or use as a choice board. Build your own silly Seuss instrument. Divide students into teams or work together as a group to make a unique instrument that can be played in many ways. Provide students with a box of items (instruments, tin cans, boxes…the possibilities are endless) and encourage them to assemble a never-before-seen instrument. Have students describe their instrument to the group and demonstrate how to play it. Don’t forget to name it when you’re finished!